a lay person, that is. On the basis of one true thing, she said many things which were fictitious. And because they were taken to be true and spread around the whole house, when the news reached my ears, my heart felt a twinge of pain. How can one abuse the goodness of others like that? But I resolved not to say a word in my defense and to show even greater kindness toward that person. I became aware, however, that I was not strong enough to bear this calmly, because the matter lingered on for weeks. 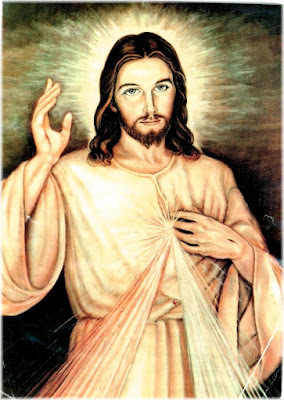 When I saw the storm building up and the wind beginning to blow sand straight into my eyes, I went before the Blessed Sacrament and said to the Lord, “Lord Jesus, I ask You to give me the strength of Your actual grace, because I feel that I will not manage to survive this struggle. Shield me with Your breast.” Then I heard the words, Do not fear; I am with you. When I left the altar, an extraordinary peace and power filled my soul, and the storm that was raging broke against my soul as against a rock; and the foam of the storm fell on those who had raised it. Oh, how good is the Lord, who will reward each one according to his deed! Let every soul beg for the help of actual grace, as sometimes ordinary grace is not enough.